REVIEW: Dessert @ Mochiko (SM Megamall) | WhereToPigOut? Mochi ice cream are love. It originated from Japan. It is Japanese rice cake made of mochigome, a short-grain japonica glutinous rice and inside of it is a flavored ice cream. 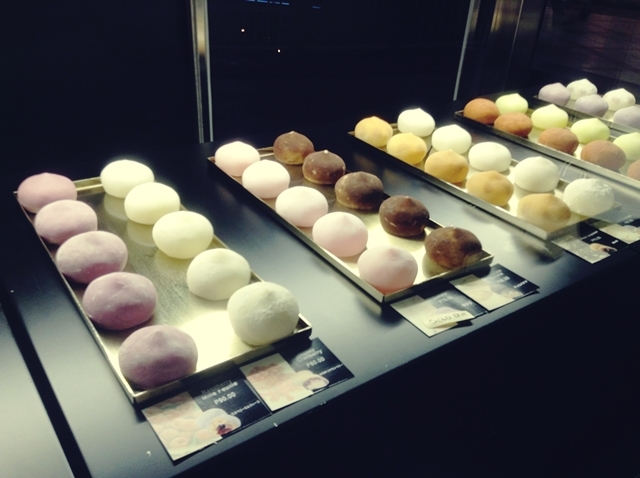 Mochiko is one of the best mochi ice cream I have ever tasted. It is sweet, depends on the flavor you have chosen. The flavor is something to look forward too. The first bite will an explosion of flavor. The chewiness of the dough is so soft and distinct. Other mochi ice cream, I have tried isn’t tasteful as this one. If you bought one, it is not enough. Hahaha yummmy!